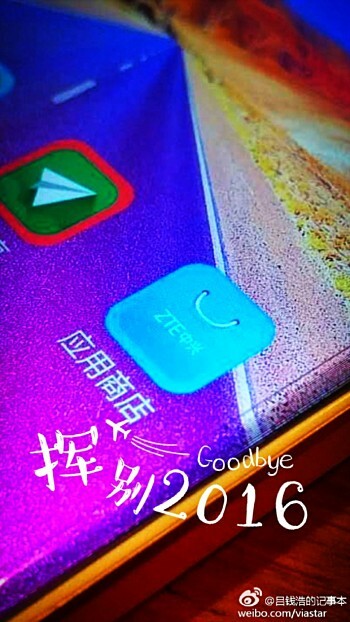 A new teaser has been outed by ZTE, featuring close-up of a smartphone having curved display edges. The teaser image was outed by the Chinese company's marketing director Lu Qian Hao on Weibo (China's Twitter). The text on the image reads: "Goodbye 2016". In addition, the teaser also wishes us a happy "boundless" new year. At the moment, there's no information (not even rumors) on an upcoming curved display ZTE phone, so it's difficult say anything about the device. But given that the teaser has been officially outed by ZTE, we expect to hear more about the handset in days, or probably weeks to come.